Aren’t swans the universal mascot for love? 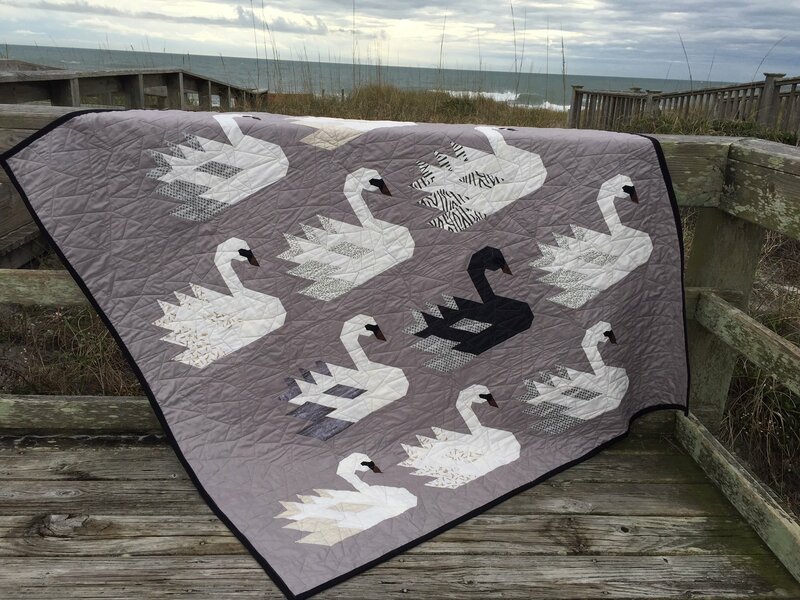 Join Mary Ann in making a bevy of beautiful swans using Elizabeth Hartman’s pattern. You’ll use conventional patchwork piecing to portray an array of striking swans that will surely make you fall in love.